Applications for a student visa are made under Tier 4 of the points‐based system. 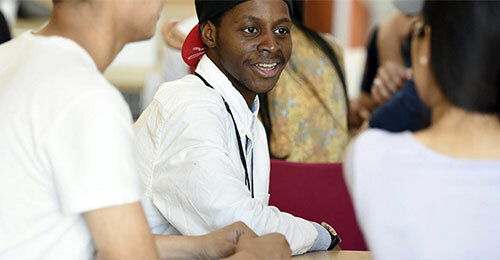 The Tier 4 (General) student category is for people coming to the UK for post‐16 education. There are two ways of making an immigration application to study in the UK under Tier 4 of the points‐based system. You can make this application either abroad in your home country or from within the UK. If you are applying for a visa to come to the UK as a Tier 4 student/ remain in the UK as a Tier 4 student, you will be assessed under a points‐based immigration system. What do I do when I receive a Confirmation of Offer Details letter? Your Confirmation of Offer Details letter confirms that all conditions have been met and your deposit has been received as cleared funds or that we have received and approved a letter from your financial sponsor. Your Confirmation of Offer Details letter states the year of entry of your course. Please note, your CAS number will be issued to cover the duration of your whole course, therefore you will apply for a visa that will cover the duration of your course. You do not need to re-apply for a new visa each year. 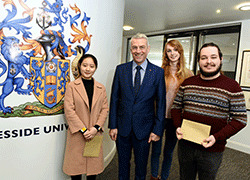 A CAS is a unique UKVI (Home Office) reference number which confirms that Teesside University will be your Tier 4 sponsor for the duration of your studies. Following successful completion of all University checks your CAS should be processed within 5 working days. A CAS statement with your CAS number will be sent to you by email. Please note that you only require the electronic number for your visa application, not a copy of the CAS statement. Upon receipt of the CAS number you can then submit your Tier 4 visa application. Please do not submit a Tier 4 visa application without a CAS number. 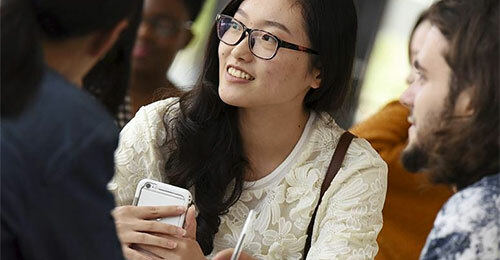 You can submit your Tier 4 visa application up to three months before your course start if you are applying from your home country (outside the UK). Please ensure that you have sufficient time to secure your visa and travel to the UK in time for the start of your course. Please read the UKVI Tier 4 Policy Guidance and the University Tier 4 Policy before you make your application. How can I prepare to obtain a CAS number and apply for my visa? Once you have been issued your Confirmation of Offer Details letter, the International Student Records team will begin to prepare to issue your CAS number. You need this CAS number before you can apply for your Tier 4 (General) Student visa. Checks are carried out prior to you being issued with your CAS number. Credibility checks: If you have not done so already, you must complete the credibility survey which has been sent to you by email when your original offer was made. 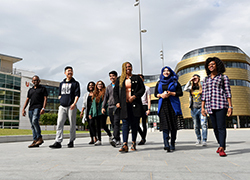 The survey is to help you prepare for your visa application should you be called to interview and to allow the International Student Records team to confirm they are happy with your intentions for coming to Teesside University to study. UKVI checks: If you have been sent an email asking you to complete a consent form in order for us to contact UKVI to check your previous UK immigration history, please return your signed consent form to us as soon as possible. Before we are able to issue you with a CAS, we need your consent and to have completed the UKVI check which can take up to 5 working days. The purpose of the check is to ensure that we are able to issue you with a CAS in accordance with the Tier 4 rules if you have already studied in the UK before or applied for a UK visa before. Maintenance checks: If you are required by UKVI to demonstrate maintenance (evidence to show you have sufficient funds to cover your tuition fees and living costs) you will be required to provide this evidence to the International Student Records team before you will be issued with a CAS. We will only issue your CAS number once we are satisfied with the maintenance documents that you have provided to us. This is for us to determine that you have satisfactory evidence to submit to UKVI as part of your Tier 4 visa application to demonstrate your funds and to mitigate the chance of your visa being refused. 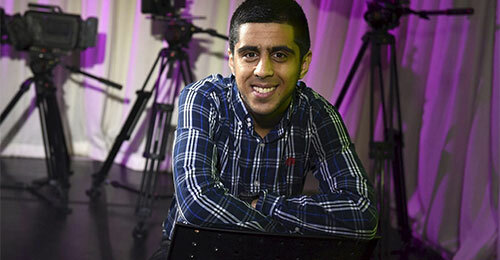 Sponsored Students must provide satisfactory documentary evidence of sponsorship e.g. official financial or government sponsorship. The International Student Records Team may contact you whilst making the above checks to request further information or documents as necessary. Once all of the above pre-CAS checks are complete the International Student Records team will issue you with your CAS number which will be processed within 5 working days and sent to you by email. When can I come to the UK as a Tier 4 (General) student? If you are doing a course that is six months or longer, or a pre‐sessional English course that is less than six months, you will be able to come to the UK up to one month before the start date of your course. If you are doing a course that is less than six months and is not a course to prepare you for study, you will only be able to come to the UK up to seven days before the start date of your course. Your course start date is the date given to you by your Tier 4 sponsor. This will be stated on your CAS. For how long can a Tier 4 (General) student stay in the UK? Your CAS will include the start and end dates of your course. A course will be considered to be 12 months long if it lasts a full calendar year. We recommend wherever possible that you have this corrected prior to travelling to the UK. However, if this is not possible a Student Advisor can help to have this corrected. Please book an appointment via the Student Services reception. What type of visa will I need to apply for? If you are a non‐EEA national and you do not already have a UK visa which allows you to study, you will usually have to apply for a Tier 4 (General) student visa in order to come to the UK to study a course. Choose the relevant option below specific to your circumstances to get the correct information for you.